It's worth it to breed fish. 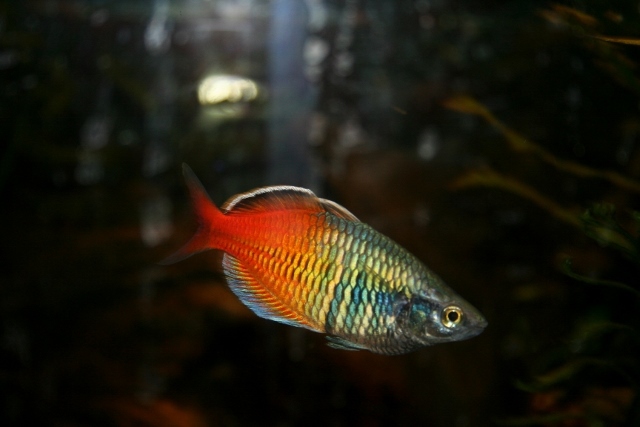 This male is over a year old, and in the slow way of rainbowfish has only been really colourful for a few months. 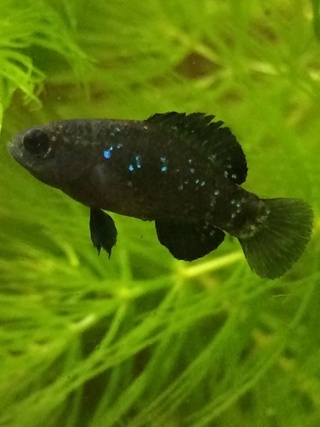 I have shown pictures of my boesemanis before (I think they are a photogenic fish), but not of this, my third generation here. They start out so small you can barely spot them, and at first, providing them with food small enough is challenging for a lot of us. It will still be another 6 months or so before this male reaches his full size. My 3 month old 4th generation are only 1.5 cm now and just grey. The beauty will come, and with 30 of them, my tank will look great. I have a gap - I lost all but 3 of my second generation, and all of my first group to a weird parasite that hit here about 2 years ago, and have been worried about whether I would save them. Things are looking good, and I should be enjoying this beautiful species off into the future. Some fish can't be replaced. These intense orange ones come from a line established in Ontario by a breeder who has kept them since they were brought out of the wild many years ago. The colour in the fish farm versions has faded to a turnipy yellow, through poor breeding and keeping, but this well cared for and carefully bred pedigree still throws wild type rainbows. The boys were showing off at dawn, as they like to do, and I got this snapshot this morning. 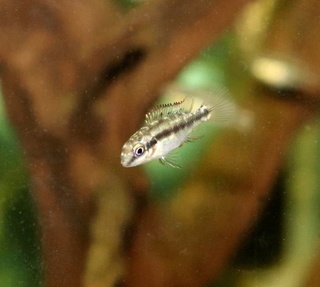 It's amazing the similarities between keeping and raising rainbows and killifish. Tiny fry, time to maturity, eventual splendour. Just gorgeous fish. Amazing to preserve the wild type colours. I've only seen the "turnip" yellow bosemani for sure. Even with a great shot like this one... I'm sure they look even better in person. I'd love to see some beauties in person one day. Great fish! It is a pity my apartment is too hot for them. Is that line what they call the lake aytinjo strain? I have 5 Boesemani that I received second hand. 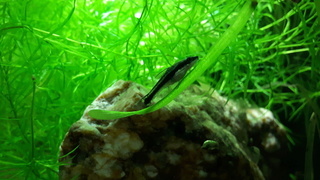 I know they were purchased from finatics and they are from an Ontario Breeder. Mine are a pretty good orange colour compared to everything I've seen at any lfs. Ive seen far more yellow than orange at lfs. not sure the colors are necessarily as intense as yours in that photo. 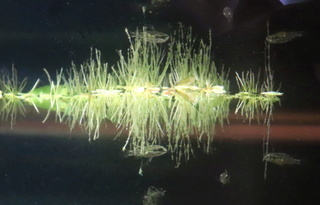 Other than colour, is there any way to determine the strain of Boesemani? I really hope you get to share this strain with us in Montreal, for those who have the necessary setup..